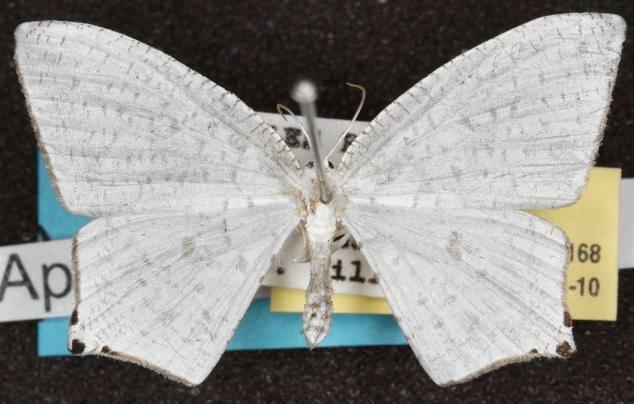 The adult moths of this species have off-white wings, each with scattered brown dots and spots. There are three dark spots at the pointed tornus of each hindwing. Like many moths in the family GEOMETRIDAE the moth has its wings open and flat in its resting posture. The wingspan of the males is about 2 cms. The wingspan of the females is about 3 cms. Volume 6 (1899) p. 319, No. 19.